In a small pot, over very low heat, melt chocolate, stirring constantly, about 1 minute. Add 1 1/2 cups milk and cook, stirring occasionally, to combine, about 1 to 2 minutes. Meanwhile, in a small bowl, mix remaining 1/2 cup milk with cornstarch until well-blended with no lumps; add to pan with chocolate-milk mixture. Increase heat to medium and bring to a boil, stirring constantly; boil for 1 minute. Reduce heat to low and cook until thickened, about 30 seconds; pour about 1/3 cup pudding into each of 6 small ramekins. Cover ramekins with plastic wrap, pressing plastic down onto the surface of pudding (so skins don't form) and refrigerate until chilled. When ready to serve, top with whipped cream. 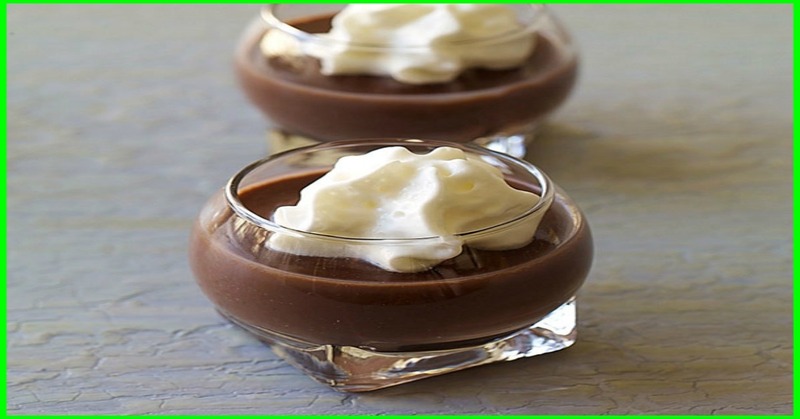 Yields about 1/3 cup pudding and 1 tablespoon whipped cream per serving. You can serve this pudding warm, too.